An Unexpected Honour-2 | what if? Cathy is a composer, performance and sound artist who often works with gestures, loudspeakers and live-electronics. When I saw her performance of Song No 3 at the Mittersill Composers Forum, I instantly fell in love with her work. In Song No 3, Cathy features typical arm and hand gestures used by singers during their performances as a means of additional expression. Cathy isolates those gestures and reframes them beautifully in such a way that they become a means to control her expressive electronic sounds. A great blog where you will find tutorials for Electronics (Arduino, Computers&Mobile, Rasberry Pi, Robotics), Workshops (3D Printing, Machining, Woodworking), Craft (Crotchet, Knitting, Paper Craft, Sewing), Science (Energy and Health) and Art&Design (Photography & Video, Music). Enjoy! At the blog arduino-users share their projects (including project description and construction-instructions) with the Arduino community. 4. The audience development hub from Sound and Music that is especially interesting for each kind of sound artists/composer. Ask: What are the questions you want to know about your audience? Who has access to this data? Test: How can we use the insight and data we have to test new ideas? Happy tinkering, developing, exploring of the hacker-, arts-, design- and music-scene. 5. Include an embedded video or a SoundCloud track of your current favorite song/music/art work. 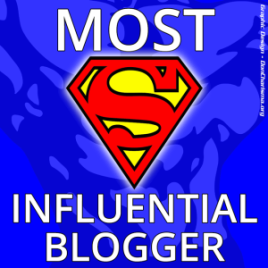 Let us know, if you have suggestions for another influential blogger!